The Wall Street Journal has this article linked from Drudge. 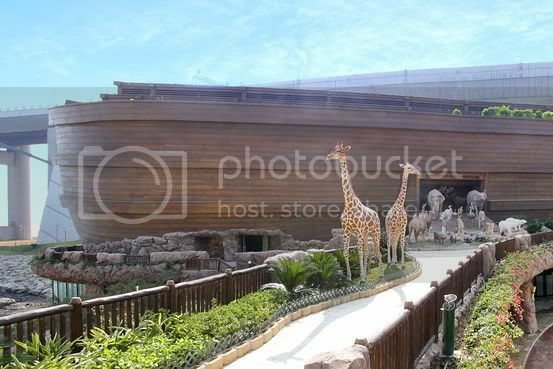 It's the first ever ark that has been built as big as Noah's actual ark. Instead of animals, this ark houses a restaurant, resort hotel and a children's museum. The article says that the ark sits on 270,000 square feet, but it does not say what the overall square footage of the ark itself is. Any guesses? Googling, if the Ark was 450 ft x 75 ft x 45 ft, then it should be 1,518,750 cu. ft?